The Green European Foundation will host a workshop about Basic Income during the upcoming 9th Edition of Univerde, a University Summer program that is one of the largest forums for debate on ecology and politics in Spain. Univerde is organized by the Green European Foundation together with the EQUO foundation with support from the political party Los Verdes/ALE and the European Parliament. 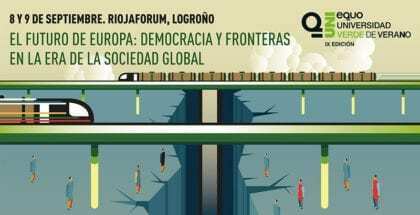 The event will take place at the University of La Rioja in Logroño, Spain on September 8 and 9. The Basic Income Workshop will happen on September 9. Participants include: Philippe Van Parijs, Belgian philosopher and political economist, and a professor at the Faculty of Economics, Social and Political Sciences of the Catholic University of Louvain; Hontanares Arran, Member of the Movimiento ATD Cuarto Mundo and member of EQUO; Lluís Torrens, economist, member of the Basic Income Network and Director of Planning and Innovation of the Social Rights Area of the Barcelona City Council; Julen Bollai, economist and researcher, member of the Basque Parliament with the Coalition of Elkarrekin Podemos, and member of the Basic Income Earth Network (BIEN); and Jorge M. Neira, member of EQUO. The workshop titled “Moving towards Basic Income: a Pilot Program for the City of Madrid” will evaluate Basic Income as an alternative to poverty and exclusion. it will look at the possibility of developing a pilot program at a local level in Madrid to prepare for a generalized implementation of Basic Income. 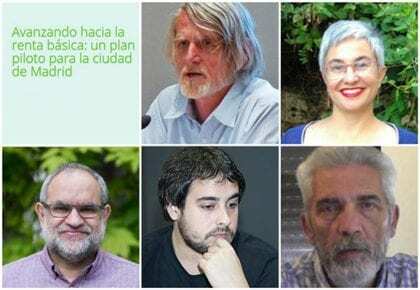 They will analyze the proposal suggested by the Spanish organization Marea Básica for a pilot program in a neighborhood in Madrid that is riddled with poverty and exclusion. Experts on Basic Income will give their opinion on this possible pilot program, and the workshop will be used to debate Basic Income as a social protection alternative that is ecologically sustainable.